A growing business has many moving parts. When everyone on the team has more than one job to do and only a select few team members have access to corporate credit cards, it can be tempting to forego standardizing an expense policy. No matter your size, an expense and employee reimbursement policy set early will pay off over the long haul by giving you more insight into company spend. Here are four more reasons why expense policies are so important to your business. 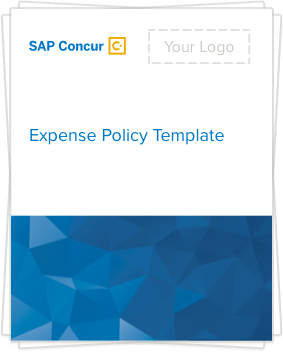 5 minutes is all it takes to generate a custom expense policy template for your business. Many may not think of business expense reimbursement policies as culture building. But, informing employees on how they can spend not only reduces confusion, it can communicate empowerment. As your company grows, and revenues increase, employees may not know what their spending limits are when booking travel. It only takes one booking at a 5-star hotel to break a company’s trust in an employee. Notifying employees up front on what they can and cannot spend with a stated business travel policy and procedure helps them stay in policy and maintain company trust. Setting an expense policy also helps build employee trust in the company as well. Setting a clear travel reimbursement policy for employees who use their own finances to book travel lets them know you will reimburse them quickly. A stated travel and entertainment policy makes the path to responsible spending clear for your employees, making their travel booking, purchasing, and approving processes more efficient. An established travel claim policy makes onboarding go more smoothly for new employees and managers. Employees can submit their expense reports more efficently and your team can avoid the back and forth caused by errors. This may be the most obvious reason for implementing an expense policy. Establishing an expense policy helps with better budgeting, forecasting, and managing of company spend. Plus, setting an expense policy that limits purchasing to select suppliers increases transactions with those suppliers and can give you the ability to negotiate wholesale deals. Creating an expense policy has many other benefits to help your business run at its best and creating one doesn’t have to take up all of your time. Use our expense policy builder to generate a custom expense policy template in minutes.